Motorists heading from crowded southeast England will discover that French roads are lightly trafficked and enjoyable to drive on. 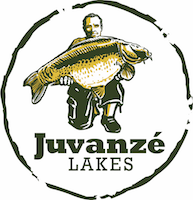 The journey to Juvanzé is simple, most of it is on the well-maintained A26 autoroute (motorway) which has a 130kph (80mph) maximum speed limit. Driving Licence:- The French police can ask any motorist for his driving licence. Failure to produce this immediately will incur a fine, followed by a further much heavier fine if it is not presented at a police station within five days. Passport:- Everyone, whether French or foreign, must carry identity papers, i.e. a passport, at all times as the police are empowered to check a person’s identity at any time. Insurance:- Inform your Insurance Company of the dates you will be away and pay any additional premium required. You should obtain a European Accident Statement which is required to record details of any accident that you may be involved in with your Motor vehicle. Ensure you have adequate breakdown insurance for the period you will be away. Wine is available with meals in French motorway service areas – a fact that surprises a lot of visitors. But don’t forget that the drink drive limit in France is lower than it is in the UK. The best advice is the same everywhere; don’t drink and drive. British drivers used to get lots of trouble negotiating Continental roundabouts. The problem was that here at home, traffic entering the roundabout must give way to traffic already on the roundabout. In France and several other European countries, the opposite rule always used to apply: traffic on the roundabout had to stop and give way to traffic entering it. Thankfully the rule on most Continental roundabouts has now been switched to the British system. In France this is indicated by a sign on the approach to the roundabout which says Vous n’avez pas la priorité (you do not have right of way) or Cédez le passage (give way). But beware that there are still a few roundabouts, mainly in rural areas, where the old rule still applies. So give way to traffic entering the roundabout if there is no sign expressly saying otherwise. The advice must be, be very careful when approaching all roundabouts. Traffic lights serve much the same function wherever you drive – but there are some variations you need to watch out for. Firstly you need to be much more observant to make sure you don’t overlook traffic lights. In the UK we are used to lights being situated at a certain position and height beside the road. It’s easy to miss traffic lights completely when they are smaller, a different shape and hanging from wire slung across the road. When you come to a halt at the stop line you may find that overhead traffic lights can no longer be seen no matter how far you crane your head. To get round the problem, there’s usually a set of smaller lights set into the post, on your right, at head height. In France the traffic light sequence does not pass from red to red and amber before turning green. Instead the light switches straight from red to green without warning. In Britain we have the habit of stopping at Zebra crossings to let pedestrians walk across. Try this in many other countries and you’re likely to take a following driver completely by surprise, resulting in a screech of brakes and if you’re unlucky, a car ploughing into the back of yours. Do show courtesy to pedestrians but for safety’s sake always check your rear view mirror before braking. (give way to the right). Unless there are signs to the contrary cars entering from the right have right of way, even if they are joining a main road from a side street. This means a lot of caution is needed at unmarked junctions in towns. The priorité à droite rule is overridden on main roads marked with the passage protégé sign, a yellow diamond. 50kmph speed limits in towns and villages. These 50kmph zones start with the place name sign and end with the place name sign crossed out – don’t be expected to be always given any other warning. When travelling on the continent ensure you comply with European motoring requirements by carrying the following essential items of accident, emergency and breakdown equipment. Failure to adapt your headlamps at any time, day or night, will render your vehicle unfit for use on the road and could invalidate your motor insurance. A GB plate must be displayed on the rear of your vehicle, caravan or trailer. The European Good Samaritan Law requires every driver to stop and provide assistance in the event of an accident. European law now requires drivers in Italy and Spain to carry a reflective vest for use in roadside emergencies. This will become law in other countries soon. From January 3rd 2012, drivers caught using a mobile phone while driving in France are liable to an on-the-stop fine of 130 Euros and 3 penalty points if they have a French driving licence. These have been banned in France since 28th November 2011. Drivers using radar detectors (speed camera detectors) are liable for a fine of 1500 Euros and 6 points off their licence. This applies to specific radar warning devices such as Coyote, which must have their software updated to remain legal. With regard to Tom Toms and other GPS systems, which have speed camera locations programmed in to their software, the situation is confusing. These are not officially ‘radar detectors’, but manufacturers are obliged to make new software available, and most will be doing so in early 2012. By summer 2012, TomToms and other GPS systems will be technically in breach of the law if they still have radars listed in their points of interest software; and even if it is not clear how roadside police can stop and check for offending software, rather than hardware, drivers are warned to take precaution and download the latest map software for France. This is advisable anyway, since older software is not up to date with regard to new routes, new speed restrictions, and other changes. For both radar warning devices and GPS devices, current radar information is being replaced with warnings to announce ‘danger zones’, many of which will be areas with speed cameras. Petrol, diesel and LPG are much cheaper in France. Petrol is about 5% cheaper in Calais. Diesel (GAZOLE) remains the most attractive purchase being in the region of 30% cheaper than in the UK. Buying on the Autoroutes is more expensive in the region of 15% more than a hypermarket. The best savings can be found at the Supermarkets such as Auchan, Carrefour, although the smaller players offer savings on fuel prices that are worth having. LPG (GPL) is more popular in Europe than in the UK. Known as GPL in France is cheaper and more widely available in France. Please note that out of hours petrol stations only accept French Credit Cards. This may change may change with the introduction of ‘Chip & Pin’ Credit Cards in the UK. The following days are public holidays (“jours fériés”) in France, when all or most shops tend to be shut. Dec 25th. Some of the dates may alter year to year.